WEST LAFAYETTE, Ind. — New research is calling for immediate safeguards and the study of a widely used method for repairing sewer-, storm-water and drinking-water pipes to understand the potential health and environmental concerns for workers and the public. The procedure, called cured-in-place pipe repair, or CIPP, was invented in the 1970s. It involves inserting a resin-impregnated fabric tube into a damaged pipe and curing it in place with hot water or pressurized steam, sometimes with ultraviolet light. The result is a new plastic pipe manufactured inside the damaged one. The process can emit chemicals into the air, sometimes in visible plumes, and can expose workers and the public to a mixture of compounds that can pose potential health hazards, said Andrew Whelton, an assistant professor in Purdue University’s Lyles School of Civil Engineering and the Environmental and Ecological Engineering program. He led a team of researchers who conducted a testing study at seven steam-cured CIPP installations in Indiana and California. The researchers captured the emitted materials and measured their concentration, including styrene, acetone, phenol, phthalates and other volatile (VOC) and semi-volatile organic compounds (SVOC). Results from their air testing study are detailed in a paper appearing on July 26 in Environmental Science & Technology Letters. The study files can freely be downloaded and are open-access, and the paper is available at http://pubs.acs.org/doi/10.1021/acs.estlett.7b00237. Findings show that the chemical plume, commonly thought of as harmless steam, was actually a complex mixture of organic vapor, water vapor, particulates of condensable vapor and partially cured resin, and liquid droplets of water and organic chemicals. A YouTube video is available at https://youtu.be/rBMOoa2XcJI. The researchers have briefed the National Institute for Occupational Health and Safety (NIOSH) about their findings. NIOSH is part of the Centers for Disease Control and Prevention and has occupational safety and health experts who can investigate workplace hazards. Purdue researchers captured the chemical plume materials from two sanitary sewer-pipe installations and five storm-water pipe installations. Samples were analyzed using gas chromatography, thermal and spectroscopic techniques. Chemicals found included hazardous air pollutants, suspected endocrine disrupting chemicals, and known and suspected carcinogens. Emissions were sometimes highly concentrated and affected by wind direction, speed and the worker’s activities, Whelton said. A waxy substance was found in the air, and materials engineers determined it was partially cured plastic, styrene monomer, acetone, and unidentified chemicals. No respiratory protection was used by CIPP workers, and a review of online videos, images and construction contracts indicates respiratory safety equipment use was not typical, he said. To evaluate chemical plume toxicity, pulmonary toxicologist and assistant professor Jonathan Shannahan and a graduate student exposed captured materials to mouse lung cells. Plume samples from two of four sites tested displayed toxicity effects and two did not. Workers repair a damaged pipe using the CIPP process, which emits a white plume containing a complex mixture vapors and chemical droplets. The workers wore no respiratory protection. At the same time, existing testing methods are not capable of documenting this multi-phase chemical exposure, Whelton said. In 2017, Whelton completed a one-and-a-half-day CIPP construction inspector course for consulting and municipal engineers and contractors as part of a different research project working with state transportation agencies. The paper was authored by graduate students Seyedeh Mahboobeh Teimouri Sendesi, Kyungyeon Ra, Mohammed Nuruddin, and Lisa M. Kobos; undergraduate student Emily N. Conkling; Brandon E. Boor, an assistant professor of civil engineering; John A. Howarter, an assistant professor of materials engineering and environmental and ecological engineering; Jeffrey P. Youngblood, a professor of materials engineering; Shannahan; Chad T. Jafvert, a professor of civil engineering and environmental and ecological engineering; and Whelton. The new research also contains results from the team’s Freedom of Information Act requests to cities and utilites. This information is contained in the supporting-information section of the research paper. Forty-nine public reports of chemical air contamination associated with CIPP activites were found. Complaints filed by homeowners and businesses who, anecdotally, have described strong and lingering chemical odors and illness symptoms, also were described. Additional research is needed, particularly because the procedure has not been well studied for health and environmental risks, said Howarter. Utilities and municipalities sometimes cite worker chemical exposure standards established by the NIOSH as acceptable for the general public. 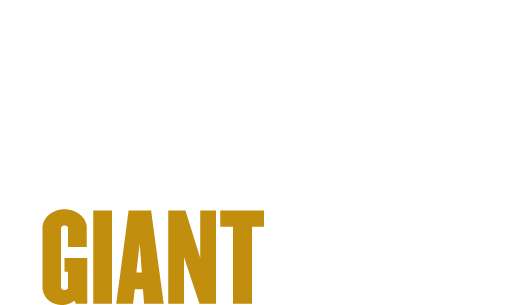 Because of the air testing results obtained at CIPP installations on the Purdue campus – two of the seven test sites studied – Purdue required the faculty and students to better protect themselves from inhaling the chemicals emitted. The researchers were required to wear full-facemask carbon filter respirators during their testing in California. Meanwhile, the uncured chemicals also might pose hazards: The nitrile gloves Whelton wore on one occasion deteriorated from contact with the uncured resin tube. The researchers observed that workers sometimes did not wear gloves while handling the materials. Some images and videos online also show workers not wearing gloves while handling the chemicals, he said. He said health officials must be alerted when people complain about odors near CIPP sites and illness so they can investigate. Often, the public instead speaks with CIPP contractors and engineers about their illness complaints, which Whelton said must change. 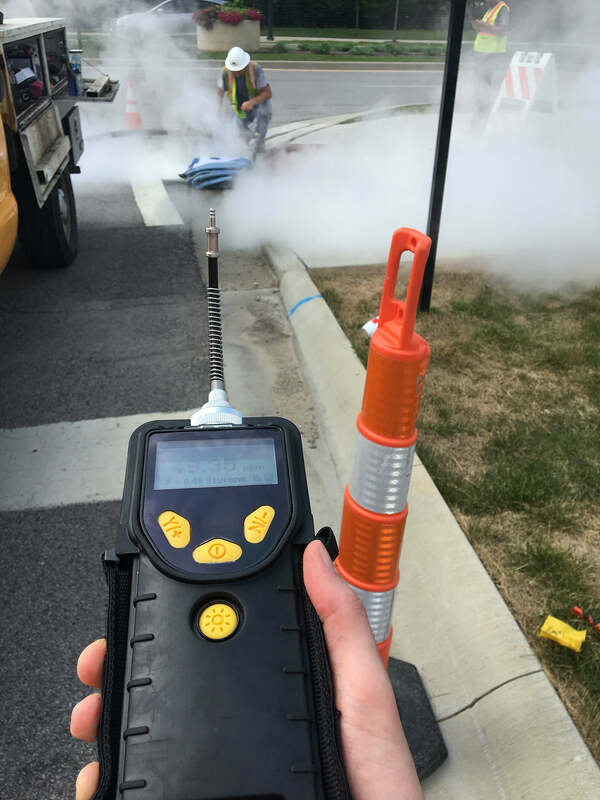 The researchers are working to develop safeguards, including a new type of handheld analytical device that would quickly indicate whether the air at a worksite is safe. A patent application has been filed through the Purdue Research Foundation’s Office of Technology Commercialization. The research was primarily funded by a RAPID response grant from the National Science Foundation. Additional support was provided by public donations and from Purdue University. The study follows a discovery three years ago when researchers reported that chemicals released by CIPP activities into waterways have been linked to fish kills, contaminated drinking water supplies, and negative impacts to wastewater treatment plants. A previous research paper, available at http://pubs.acs.org/doi/abs/10.1021/es5018637, demonstrated that chemicals released into water by CIPP sites can be toxic, and the CIPP waste dissolved freshwater test organisms within 24 hours at room temperature. Donations to continue to this research can be made at http://Giving.Purdue.edu/WaterPipeSafety. 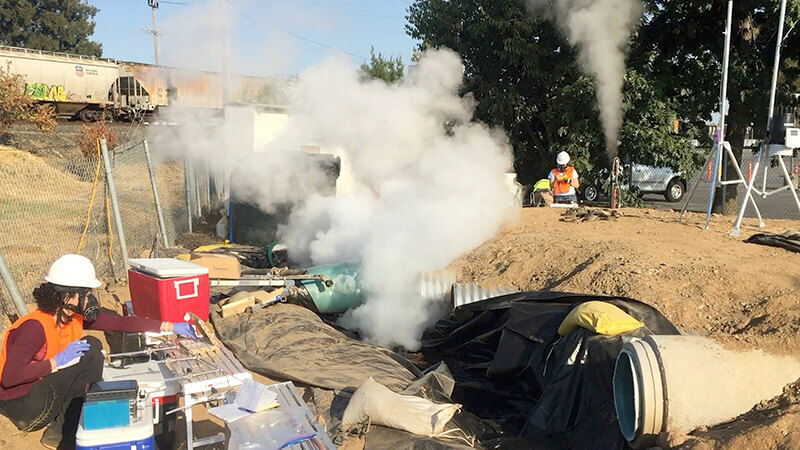 ​Chemical emissions were characterized for steam-cured cured-in-place-pipe (CIPP) installations in Indiana (sanitary sewer) and California (stormwater). One pipe in California involved a low-volatile organic compound (VOC) non-styrene resin, while all other CIPP sites used styrene resins. In Indiana, the uncured resin contained styrene, benzaldehyde, butylated hydroxytoluene (BHT), and unidentified compounds. Materials emitted from the CIPP worksites were condensed and characterized. An emitted chemical plume in Indiana was a complex multiphase mixture of organic vapor, water vapor, particulate (condensable vapor and partially cured resin), and liquid droplets (water and organics). The condensed material contained styrene, acetone, and unidentified compounds. In California, both styrene and low-VOC resin condensates contained styrene, benzaldehyde, benzoic acid, BHT, dibutyl phthalate, and 1-tetradecanol. Phenol was detected only in the styrene resin condensate. Acetophenone, 4-tert-butylcyclohexanol, 4-tert-butylcyclohexanone, and tripropylene glycol diacrylate were detected only in the low-VOC condensate. Styrene in the low-VOC condensate was likely due to contamination of contractor equipment. Some, but not all, condensate compounds were detected in uncured resins. Two of four California styrene resin condensates were cytotoxic to mouse alveolar type II epithelial cells and macrophages. Real-time photoionization detector monitoring showed emissions varied significantly and were a function of location, wind direction, and worksite activity.